All week long Orchesis dancers have been dressing up to advertise their upcoming shows. 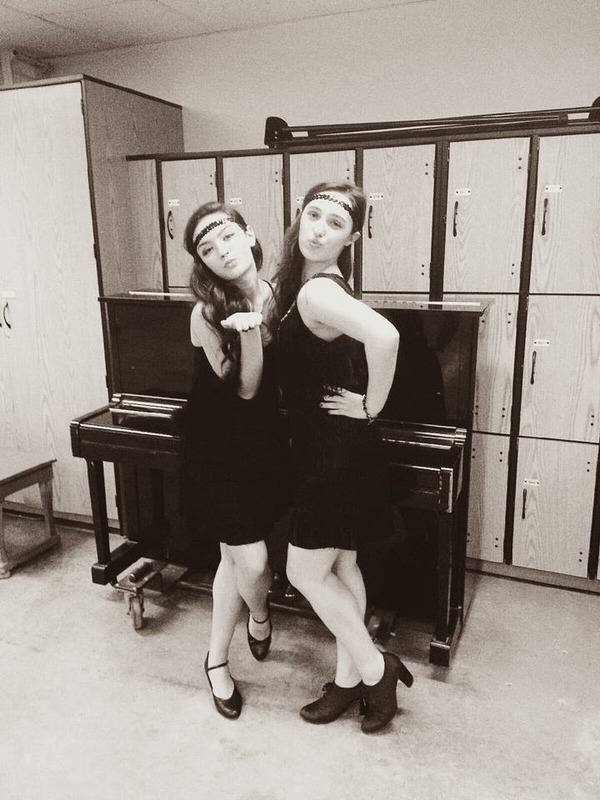 For decades day Emma and her friend Sam represented the roaring 20's. I thought they looked amazing as flappers. Check out the shows this week-end and see the piece Emma choreographed for her peers; it is the show opener! See you for the shows at OPRF Friday at 7:30pm, Saturday at 7:30pm or Sunday at 3pm!